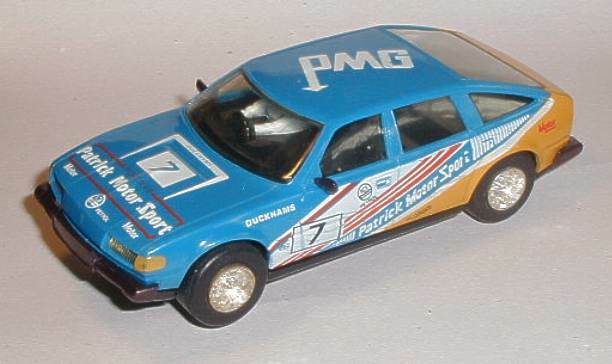 This Scalextric C280 Rover 3500 model is complete with both bumpers and wing mirrors still present. Thoroughly cleaned and serviced this Scalextric C280 Rover SD1 is fitted with new pick up braid sand rear 4 new tyres. The Rover has been track tested and runs extremely well with quiet smooth motor and gears. The window moulding, interior moulding, front bumper moulding, rear bumper moulding, headlamp moulding and the mirror mouldings are all complete and have no cracks or other damage. The body is in excellent condition with all the factory applied decals are good. The new tyres are all in good, grippy condition. 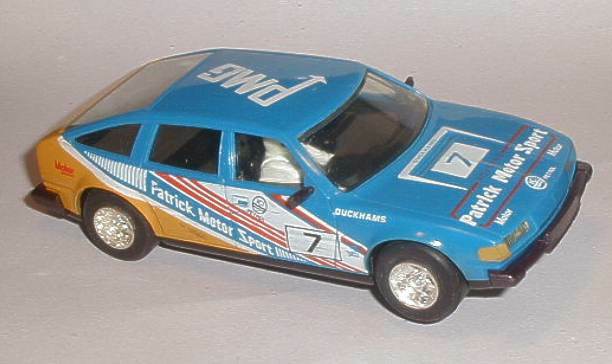 This Scalextric C280 Rover 3500 car is wonderful to race and would add great value to any collection.